I’m off to Norway, Finland and Estonia for a few weeks on Friday, and I leave you fine people with one of my own cryptic concoctions to have a crack at or just ignore. Solutions and explanations will be posted some time before I leave the antarctic climes for the arctic. If you want the answers to the latest AS Special, they’re in the comments below. 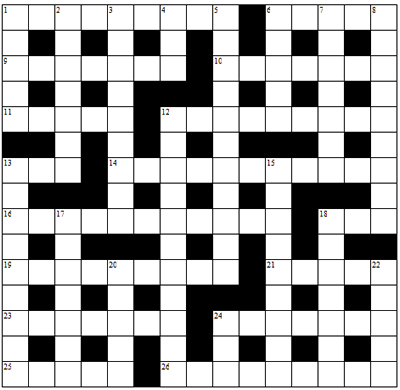 Ever so slowly, I’ve put a clue or two away and made myself a crossword. 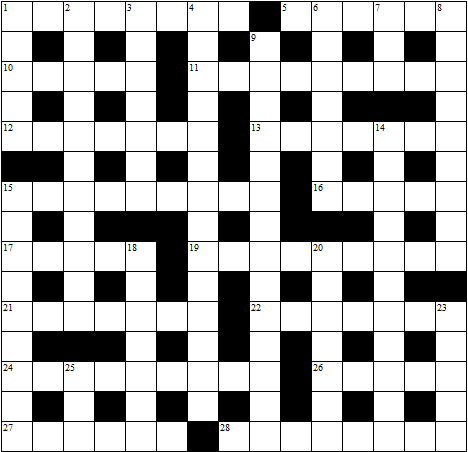 This one should be easier than the last one I made, which was too hard, but not so easy that it’s a walkover. 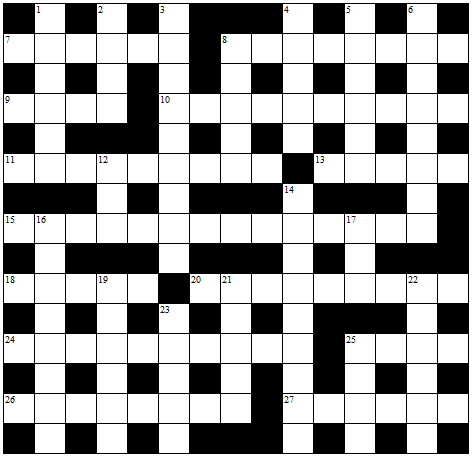 In the comments, you’ll find the solutions to the crossword I made recently. Feel free to criticise, praise or ignore. Another spate of hubristic madness has seen me attempt another crossword. I’ve even stolen one of RC’s ideas and included a new type of clue for the modern age. You’ll find the solutions here.